The weather has broken and it’s time for the spring sports season. In Northeast Philadelphia, it should be an exciting time. 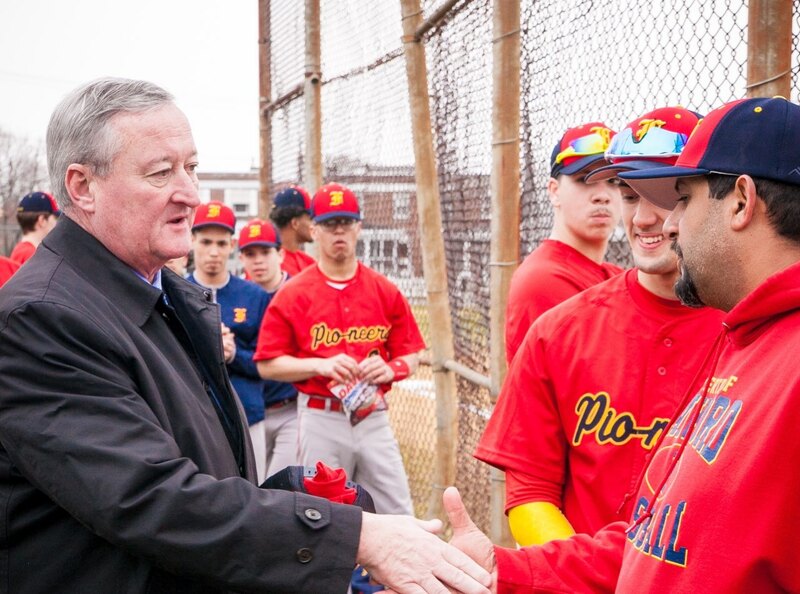 In the Catholic League, the Father Judge High School baseball team looks to make it back to the postseason while Archbishop Ryan welcomes a former coach back to the dugout. In the Public League, Frankford looks to defend its league championship and make it back to the state playoffs. It won’t be an easy task, and many of their stiffest challenges could come from teams in Northeast Philly. Here is a look at the prospects of local teams. The Raiders had an extremely disappointing season a year ago. After making the Catholic League semifinals in 2017, Ryan won just two league games last year. This year, the Raiders bring back Mike Lake at coach. Lake coached Ryan until 2001, when he left to take over the coaching job at La Salle University. He expects an improved season and believes he has the players to make that happen. Adam Estrada returns as one of the best hitters in the league. He will move from first base to third base this year. Another key infielder will be Pat Kajder, who will play in the middle of the infield. Other infielders include DJ Sims and Savian Rivera, who will also see time on the mound. The outfield will include Josh Iacorn, Dillon Smith and Josh Stevens. And Anthony Price and Carlos Curz will both see time behind the plate. Pat Hasson will be one of the team’s top pitchers. The Raiders will be improved, but the goal is to make it deep into the playoffs. The Crusaders knocked off the defending Catholic League champions last year in the playoffs, but lost in the next round. It was a great season for Judge, but the team did lose Catholic League MVP Chuck Kelley to graduation. The good news is the Crusaders have plenty back this year. Judge’s strength is on the mound, where Sean Moran will lead a group that also includes Lenny Gipson, Justin Barcoski and Shane Hughes. They will be throwing to Andrew Sicinski, who returns behind the plate. The infield will feature first baseman Colin Kelly, second baseman Paul Guensch, shortstop Shawn LeVan and third baseman Nico Conti. The outfield includes Andrew Burgher, Eddie Doll, Ethan Martini and Matt Konen. Coach Mike Metzger knows there’s work to be done, but he’s happy with what he has. “Pitching and defense is always our strength,” Metzger said. “We preach about it every day and our kids buy in. As always with teams under John Larsen, the Railsplitters improved as the season went on last year and that will likely happen again this year, though they would like to finish with a better record than a season ago, when they ended 7-6. And with the talent they have, that’s a distinct possibility. Leading the way for the Railsplitters is shortstop Victor Mejia, who will play shortstop when he’s not pitching. And Lincoln is set at catcher with Richard Hernandez coming back in his third year as the starting backstop. The infield should be in good shape with a pair of juniors leading the way. Nick D’Agostino will start at third or shortstop when Mejia is on the mound. He’ll also see time at pitcher. And Aidan Crean, another pitcher and third baseman, will see time in the outfield. Larsen is happy with what he’s seen thus far, especially the effort his troops are putting into practice. “Defensively, we are strong up the middle, looking to play fundamentally sound baseball on a pitch-by-pitch basis” Larsen said. “We are young, and with that comes a lot more teaching the game, it will be ‘Baseball 101’ daily. The Pioneers are always in the mix for the Public League championship and they’ve won the past two league crowns. With what they return, they should be in the hunt for winning a third straight. Frankford will be led by seniors Luis Ramos and Rico Lugo. Both stars last year, Ramos will play first base when he’s not pitching, and Lugo, also a pitcher, will play infield. Another senior who is poised to contribute is Dariel Rivera, who will play catcher and third base. The Pioneers have some young players who could chip in as the season goes on, but Frankford coach Juan Namnun is looking to his players with experience to lead the way. The Eagles are always in the mix, and this year should be no different. Luke Redding will lead the way. He’s a pitcher who will also play infield. He’ll work with Russel Volosov and Kyle Gill in the infield. Robert Barr will take over behind the plate. In the outfield, James Clack will start in center, and D’Angelo Delgado brings some pop to right field. Coach Ken Geiser is happy to have some veterans return, but he knows he’ll have to find pitching to be successful. “Pitching will determine how productive our season is,” Geiser said. “Luke Redding returns, but we don’t have a lot of experience after that. “We need to keep working hard in practice and continue to get better. We must mature ‘baseball-wise’ as a team. Northeast coach Tom Juhas’ team doesn’t have a lot of experience, but he has plenty of talent. He hopes they can play well. John Wing will be the team’s ace. Lucas Valentin, the No. 2 pitcher, will play catcher when he’s not on the mound. And providing depth on the mound will be Anthony Aron. In the infield, Devontay Green will start at first base, Andrew Kidder will man second base, Chris Castro will start at shortstop, and Mario Brea and Christian Cano will platoon at third base. The outfield will include Nathan Evans, Jacob Ramos, Christian Vazquez and Jon Catala, Liam Sodo will be the designated hitter, with Aiden Powers providing depth. Other guys who will work their way into the lineup will be Jalil Rutludge and Samir Harris. The Vikings are replacing the top seven hitters in the batting order, but according to Juhas, the future is bright. The Bulldogs were one game away from winning the Penn-Jersey championship a year ago, and they return some players who could help get them over the hump this year. Seniors lead the way, as Joe Nugent will start at shortstop, Mike Bernstein will play center field and Jon Reilly will play second base. New Foundations also has three juniors ready to step up in catcher Kyle Vella, first baseman Tom Bruenger and Jordan Gombs, a third baseman and outfielder. Bruenger and Gombs will also pitch. With a solid foundation returning, the Bulldogs should be in the mix all year, and the hope is to have the younger guys playing their best when the playoffs roll around. “We are a fundamentally solid defensive team who make all of the routine plays,” said coach Zack Riegler. “We have a balanced lineup that can hit for both contact and power. We make solid contact, limit the strikeouts, and are aggressive on the base paths. Our pitching staff is another strength.